Nothing compares to leggings when it comes to versatility. You can wear them almost anywhere because they marry comfort and style. This makes them suitable for most kinds of daily activities and occasions. With so many options, we scoured the Internet to find the best leggings! When it comes to the top leggings, there are a few important things to consider: comfort, versatility, and quality. 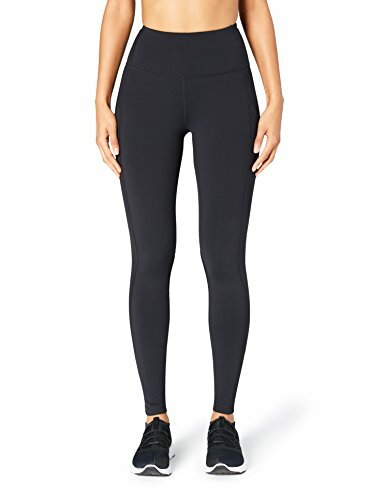 Below, we've found 5 pairs of leggings that meet our expectations in most or all of these categories. Read through to see our top picks! Comfortable enough for athletic activities yet tough-built for rigorous and dirty work, Carhartt Women's Force Utility Legging is no ordinary pair of leggings. They are incorporated with technology to curb little annoyances about the fit that might hinder your comfort and efficiency. Superior to all is the Rugged Flex Stretch technology, which promotes ease of movement. The fabric is made to withstand any external factors that might ruin the leggings or increase discomfort, particularly sweat, odors, stains, heat, and grime. With abrasion-resistant properties in front and at pressure points like the knees, this pair ensures security amidst extreme environments. The fabric leaves some room for your skin to breathe. At the same time it promises no gaps in between. This is true especially at the back of the waistband, where other leggings usually open up when bending or sitting down. For the comfort and convenience guaranteed by the abundant features in the Core 10’s “Build Your Own” Onstride Run Full-Length Legging, you get every penny’s worth. These give you everything you need. Starting with the comfort and breathability that boosts your running capabilities, to the convenience of zipped storage and pockets for keeping absolute essentials with you. 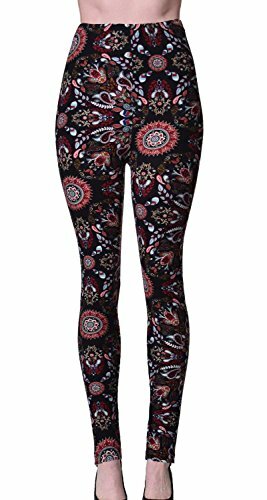 Available with high waist and medium waist options, these full-length leggings are made with a 4-way stretch fabric. They also have mesh panels at important points, like the back of the knees, to provide maximum comfort for exercises. While you’re on the run outside, you don’t have to worry about hazards. They are built with reflective material to make them safe to wear at night too. VIV Collection’s Popular Printed Brushed Buttery Soft Leggings give you more than what you’ve bargained for. These are a special treat for tall women as the legging market apparently favors the not-so-tall. They have the appropriate length for women over six feet tall. For their long length and soft buttery fabric, the VIV leggings have the answer to those who think the quality of leggings is declining. This is due, in part, to the fit and thickness of the material. The stretchy waistband fits snug on your waist with no gaps, and the length fits well on your legs. Built for multi-purpose wear, this pair merges fashion and activewear through its many prints and patterns. Some leggings you just can’t wait to remove as soon as you step in your house. Baleaf’s Fleece Lined Leggings is one pair you wouldn’t want to take off. The fleece lining feels like a cloud wrapped around your legs—it’s too good to resist. 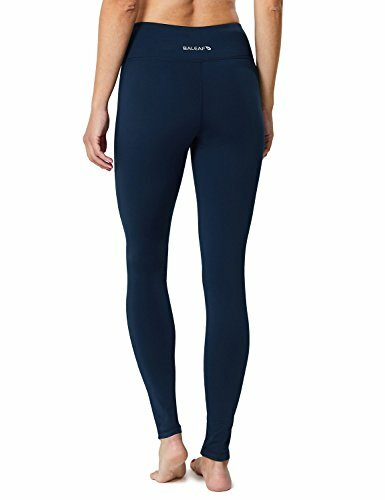 Made with soft fleece inside and a breathable fabric, Baleaf’s leggings are designed to help you keep warm and endure extreme winter weather. In higher temperatures, they wick away moisture quickly for a dry feel even when you’re sweating. 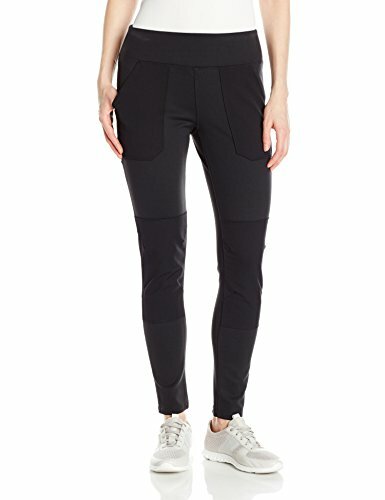 Mixed in with practical features, these leggings have an inner pocket in the waistband to keep small items as well as a triangle crotch to prevent embarrassing camel toes. You may be bored with the plain black leggings that don’t liven up your athletic outfits. The 90 Degree By​​ Reflex Hig​​h Fashion Criss Cross Workout Leggings helps you up with that problem. Their criss-cross mesh panel at the sides work for style and function at the same time. The 28-inch semi-sheer mesh partially covered by the criss cross pattern at the side of the leggings gives an edge to your gym look. The stretchability and thinness of the material allows you to do flexible positions without the fabric compressing your skin too much or trapping air out of your legs. It’s also built with hidden pockets around the waistband for sake-keeping of essentials you can’t go without. Leggings have evolved into being more fashion-oriented over the years. We have so many selections now that can be worn for different occasions. Without losing their functionality for exercise, these best leggings selections can keep up with your comfort-focused lifestyle.